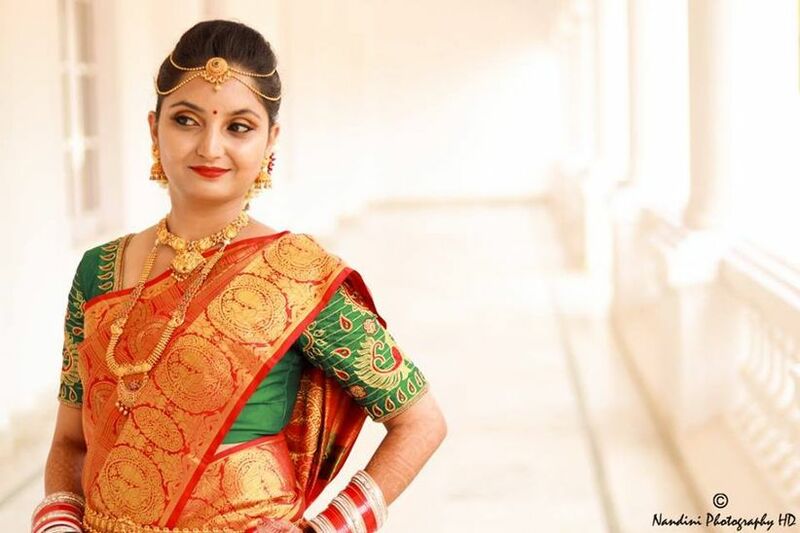 8 Beautiful South Indian Silk Sarees Every Bride Needs to Check Our This Wedding Season | Wedding Tips ARE YOU A VENDOR? When it comes to sarees for wedding season, you cannot go wrong with South Indian silk sarees. We share our top picks with you. South Indian silk sarees for wedding are a traditional favourite for Indian women especially those hailing from the south. They have an old world charm and make a woman appear divine like. If you are soon planning to get hitched, or are attending a wedding this season, then your collection must have the below-mentioned silk sarees. Kanjeevaram sarees are one of the most gorgeous and popular south Indian silk sarees for wedding. A Kanjeevaram silk saree is made of mulberry silk at Kancheepuram and is world famous for its vivid contrasting colours and designs. A woman looks divine when she wears a Kanjeevaram with stripes, and temple borders. 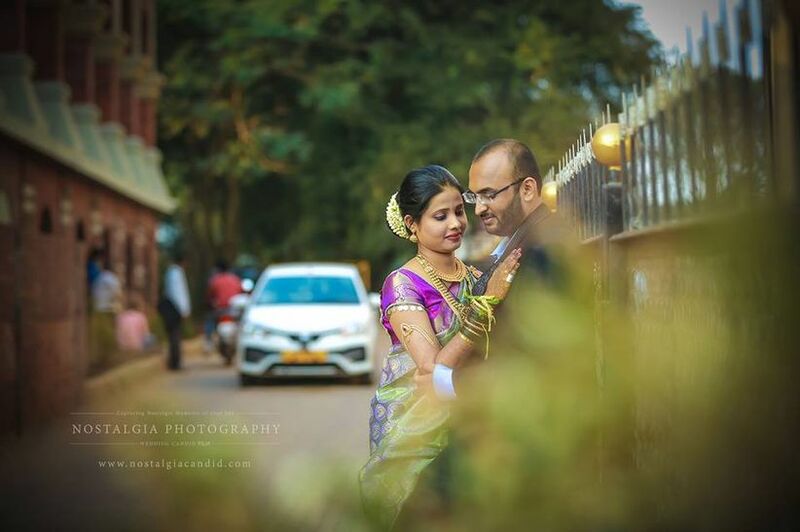 Another feather in this list of must-have south Indian silk sarees for wedding season is the beautiful Mysore silk saree, a class part in its own right. These sarees were patronised by the Mysore Royal family and till date, are worn by royalty. Mysore silk is very light and lustrous. These silks come in a variety of bold colours which look gorgeous with borders in different contrasts. 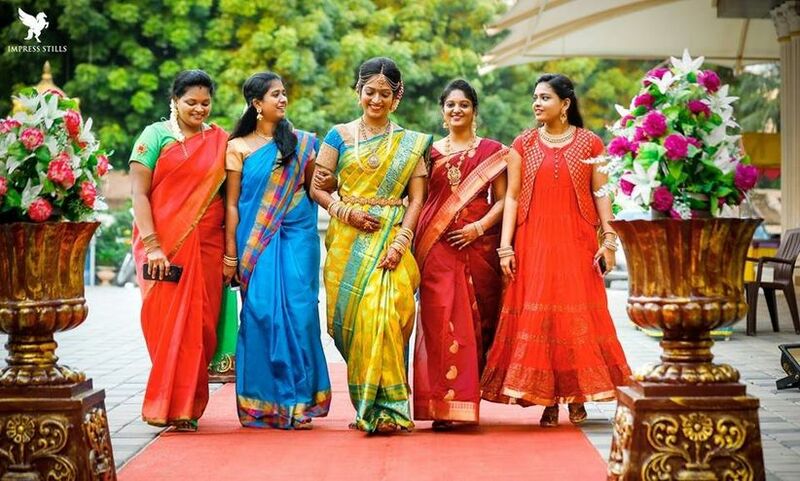 Originating from Telangana, Pochampally sarees look exquisite on brides and other ladies attending a wedding. These are available in cotton and silk. 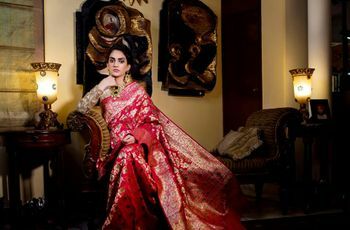 You can even get Pochampally Ikkat saree on your wedding. This silk saree comes with geometric motifs. 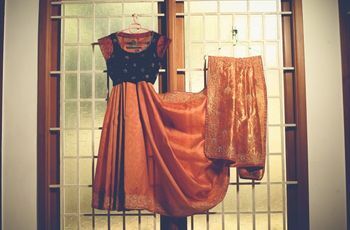 You can also get a Pochampally silk with diamonds, and peacock motifs. Featuring next is this list of south Indian silk sarees for wedding is the Gadwal saree. These sarees are patronised by the Gadwal Royal family. With a cotton woven body and zari embroidered border, this saree looks grand in every way. The pallu of a Gadwal saree is made of pure silk and comes in 5.5 meters length. Artisans weave these sarees with hand. One of the most sought after south Indian silk sarees for wedding is the beautiful Chettinad saree, hailing from Tamil Nadu. This is a hand-loom saree and comes with checks and vertical line patterns that lend it a very unique and a different look. You will find the border of a Chettinad saree in a contrasting shade. Taking Bollywood by storm, Konrad silk sarees are a favourite with many women that love their intricate patterns and artistic motifs. 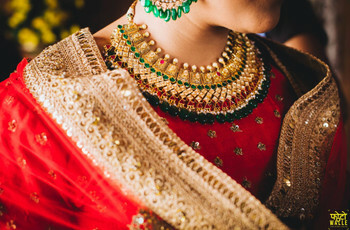 These sarees are counted as one of the most aesthetic south Indian silk sarees for wedding because of their artsy patterns of peacocks, lotus, diamonds and elephants. 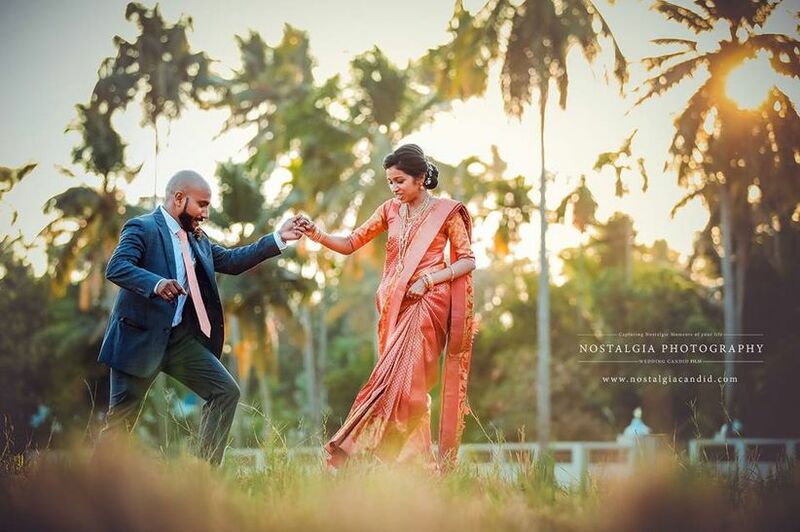 Ask any lady from Kerala about what she prefers to wear for a wedding, and she will proudly name Kavasu. It’s a traditional saree hailing from Kerala and is sold widely because women love its light and breezy colours. The border of a Kavasu is also light. If you like geometric patterns, then a Kavasu silk saree is your best option. These look very trendy with block printed geometric designs. Counted as one of the finest south Indian silk sarees for wedding, Dharmavaram silk sarees are made at Dharmavaram in Andhra Pradesh. These hand-woven sarees look artistic with religious motifs and symbols, lending a bit of distinctiveness to their appearance. The elaborate gold border of such a saree catches everyone’s attention instantly. A silk saree will look grander than grand when you complement it with a traditional Jhumki. Jhumkis increase the charm of a Kanjeervaram or a Mysore silk a hundred times. You have a plethora of designs to choose when you go Jhumki hunting. 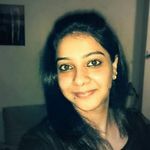 Consider wearing hanging jhumkis with Kanjeevarams to look like a goddess! When wearing a silk saree, make sure to style your hair with a Gajra. Whether you plan to go with a braided hairstyle, open hair, or simply a bun, don’t forget to add this inexpensive accessory for a stunning look. Bindis add many layers of beauty to your silk sarees, and that is why you must complement your silk with a big and plain bindi. Add gorgeous matching bangles with your silk sarees as, without these, your wedding look will not shine. You can wear any type of bangle as long as it looks great with your silk saree. South Indian silk sarees always remain in trend because these exude femininity and grace. 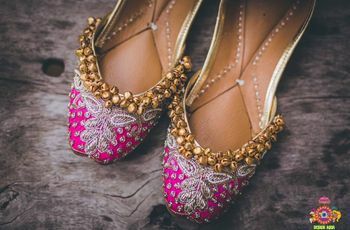 Every bridal trousseau must include at least a few of these. 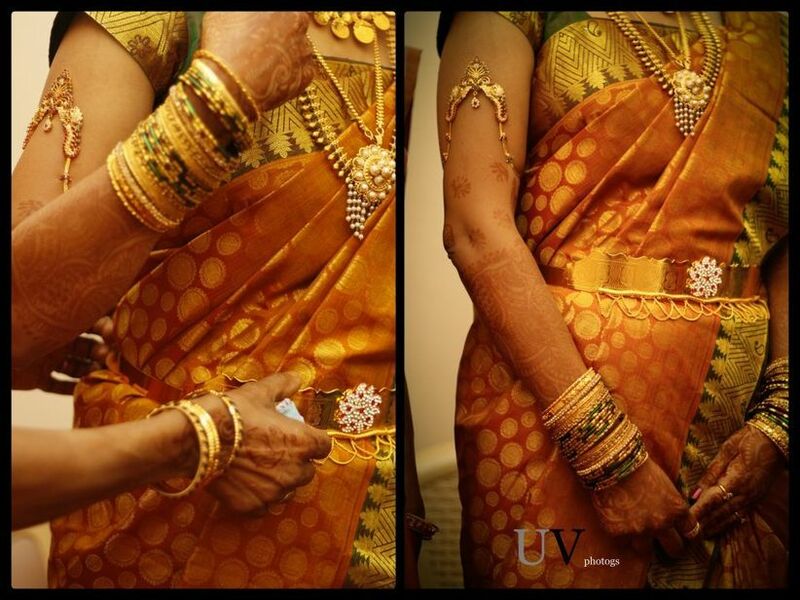 Which South Indian silk sarees do you prefer for weddings? Let us know through comments.